After a fire, all you want to do is get your home or business back to normal. Unfortunately, the smoke damage, soot, and ash are standing in your way. We can help. We’ll get you started with a free fire damage restoration consultation. We use state-of-the-art inspection equipment so we can be highly accurate, all while making the process as quick and painless as possible for you. 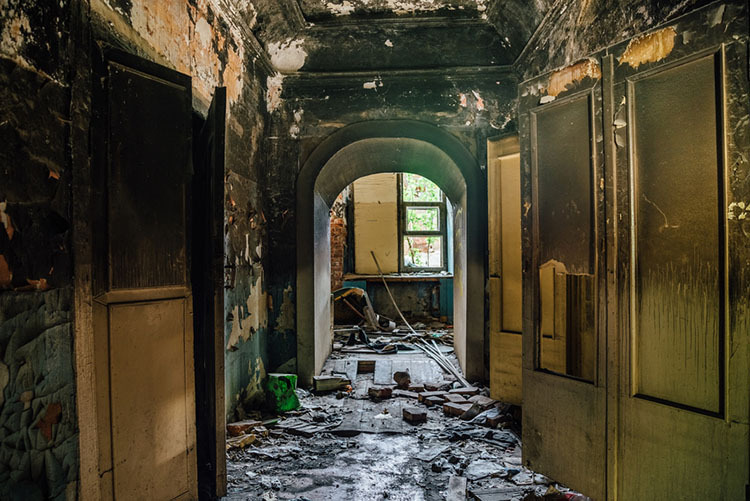 Our IICRC-certified team can help you identify which items can be refurbished, steps to get your home or place of work deodorized, and cleanup protocol to ensure your building and possessions get completely free from smoke and soot. Then, if you chose to work with us, we can execute on all fronts, getting your home or office back to its former glory. After a fire, you’ve already dealt with enough. That’s why our team will interface directly with your insurer and make sure that any new construction complies with our local Ventura County building codes. The best part is that restoring a business or home is usually significantly more affordable that rebuilding and replacing. If you’ve experienced a fire, put us to work for you. Ready Restoration in Ventura County believes the best water flood emergency tip is a fast response time. Time is of the essence when it comes to reducing restoration costs and stemming off the possibility of mold growth. Whether you are using dehumidifiers, high velocity air movers, structural heaters, portable or truck-mount extractors, it is important to make sure the property is completely dry to prevent mold growth. If you mold growth already exists, Ready Restoration specializes in mold removal in Oxnard, Ventura, Camarillo, Thousand Oaks and all of Ventura County. We offer 24 hour emergency service. Ready Restoration Company in Ventura County works closely with homeowners, insurers, property management companies and contractors.